Veterinarian Aislin O’Shea runs a busy clinic. She wasn’t looking for a relationship. She’d already had the perfect one. She certainly wasn’t attracted to fancy pants executive, Ms. Zane Whitman – she wasn’t her type. Zane Whitman had it all. Stellar career, wealth, exclusive social circle, and models vying for her attention. Impulsive, emotionally charged Aislin was not her type. Two women from the opposite side of the tracks. Neither one expects meddling from an unexpected source on the Other side. Neither one knows the train is coming. Paperback and eBooks for Kindle/Nook/Ipad, etc. available at: Sapphire Books, Amazon and all other major online retailers. Shade Stewart is a member of the Sisters of Spirits paranormal investigative group and a self-proclaimed necromancer. Renowned for leaving a trail of broken hearts, she walks between darkness and the light, searching to ease the emptiness in her spirit with women and whatever else might ease the pain. 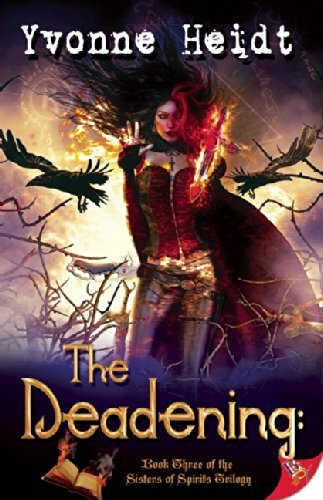 After an explosion leaves her in a coma, Shade is trapped in a place between this reality and her nightmares, fighting for her life and her soul. Raven Sanchez, a fiery generational witch, is the newest member of SOS. Instantly attracted to Shade and the power she possesses, Raven pursues her, ignoring the darkness that surrounds her. Blinded by her desire, she uses her magic in an attempt to win Shade’s heart, setting in motion forces beyond her control. Also available at all major online book retailers! Tiffany Curran has the ability to read places and people by touch, and although it’s a gift she uses to help people, it’s also a curse that prevents her from having much human contact. She tries to keep life simple, but that all changes when Katerina Volchosky calls in the Sisters of Spirits paranormal team for help. Kat is tired of reporting about violence in the city and vows this story is her last. She is hoping that S.O.S. can connect with a serial killer’s victims to help provide clues. When she meets Tiffany, she dreams of a promise made centuries ago to a flame-haired priestess. Ancient whispers of curses and witches haunt Tiffany’s nightmares, and the closer she and Kat get to the murderer, the louder the whispers get. Worse, Tiffany has a horrific suspicion she might know who the killer is. Ghosts, visions, and demons, are all in a day’s work for Tiffany. But when Kat asks for help on a serial killer case, life takes on another dimension altogether. When spiritualism and jaded skepticism collide, who backs down first? Sunny Skye, a psychic medium, is the head investigator and founder of Sisters of Spirits, a paranormal society dedicated to helping others understand what they can’t see. She is excellent at finding ghosts but finds it difficult to cope in the real world. When she meets Jordan, she is instantly attracted and completely unnerved by the personal demons she carries around with her. Street tough Jordan Lawson molded herself into what she thinks an excellent cop should be. She trusts only two things: facts and herself. She believes only in the evil that mankind commits and she certainly doesn’t believe in ghosts, even when confronted by one. That which is dreamed can never be lost; can never be undreamed. Successful artist Natalie Chambers impulsively buys a Victorian house overlooking the Pacific Ocean after her divorce. Immediately, her dreams are haunted by Sarah and Beth, two lovers from the past and the Dark Man who controlled their lives. When she begins to look for explanations for the things going bump in the night, the only answer she can get from the locals is that several previous owners had fled screaming into the night. Landscaper Van Easton hasn’t had a serious relationship since her partner died. Content to let women and alcohol distract her from her pain, she is surprised at the intensity of emotion that bubbles to the surface after she meets Natalie. 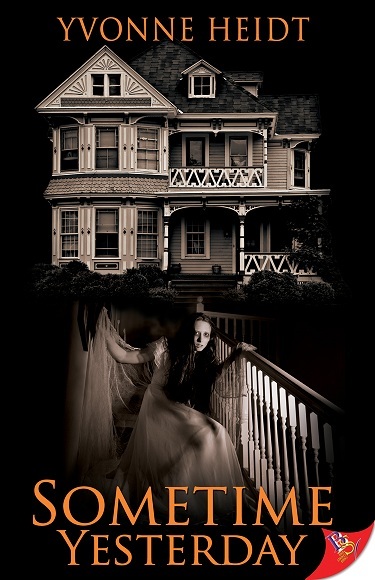 Contracted to restore the gardens at Natalie’s house, she refuses to believe that the mansion is haunted. That is, until the Dark Man follows her home. It appears he will stop at nothing to keep the new lovers apart, and the violence continues to escalate. Can they solve the mystery that will set Beth and Sarah free and banish the evil presence in the house? Or will the evil echoes of the past destroy them as well? Is this coming out in ebook? Sounds interesting.